A collection of fantasy backgrounds. 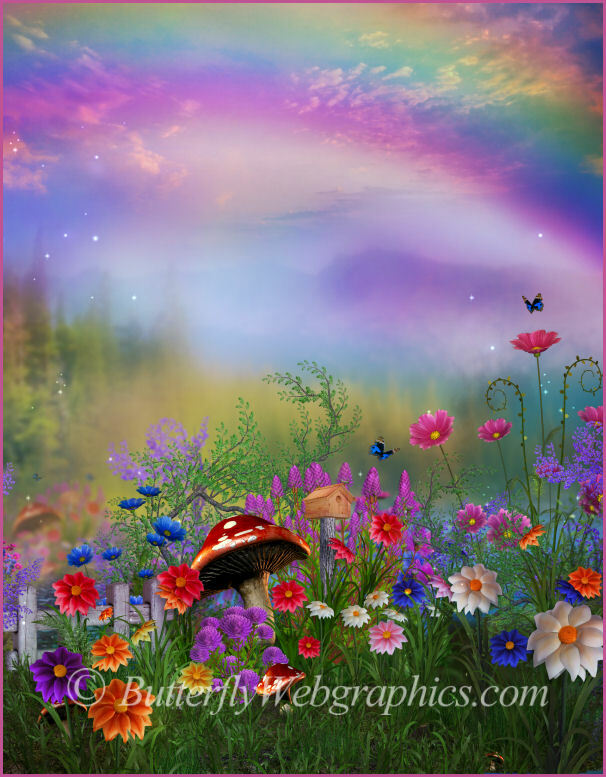 A great place for a fairy gathering. Celebrate natural beauty! These backgrounds come in brilliant colors. There are two variations of a night scene. 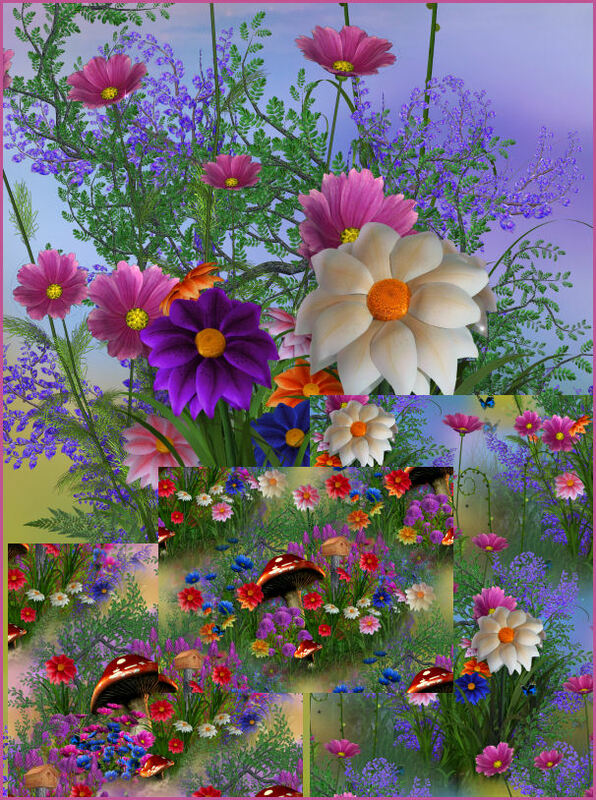 Includes several seamless tiles and floral clusters. A special place for a fairy. 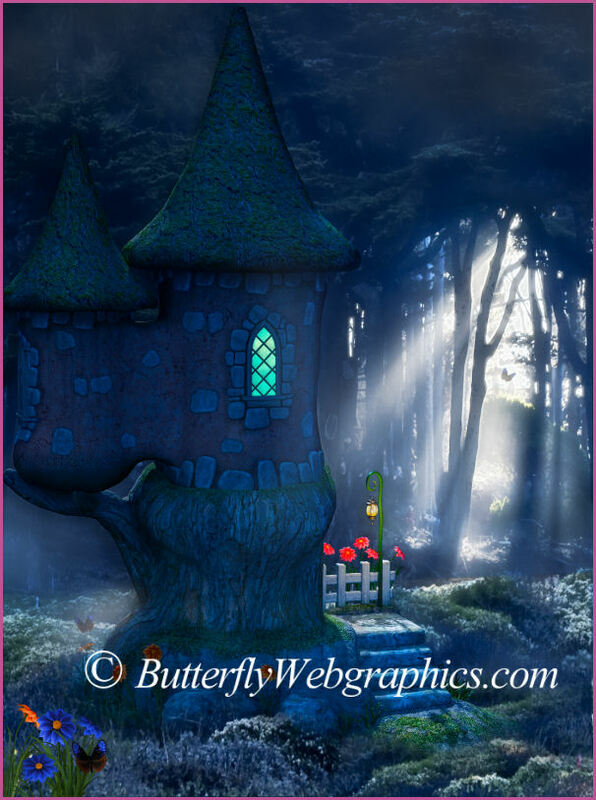 This is part 2 to my Fairy Castle Graphics package. 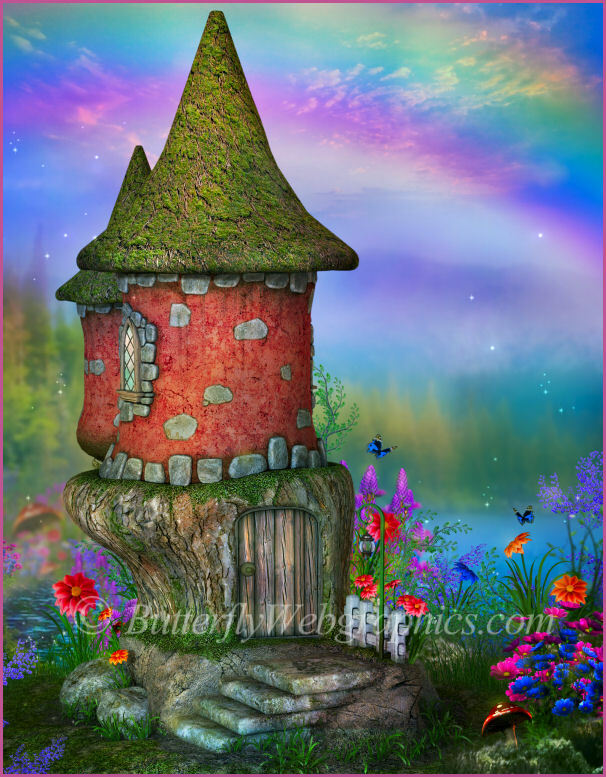 Create a lovely fantasy scene with these numerous fairy castle backgrounds. Some are finished and ready for your design. 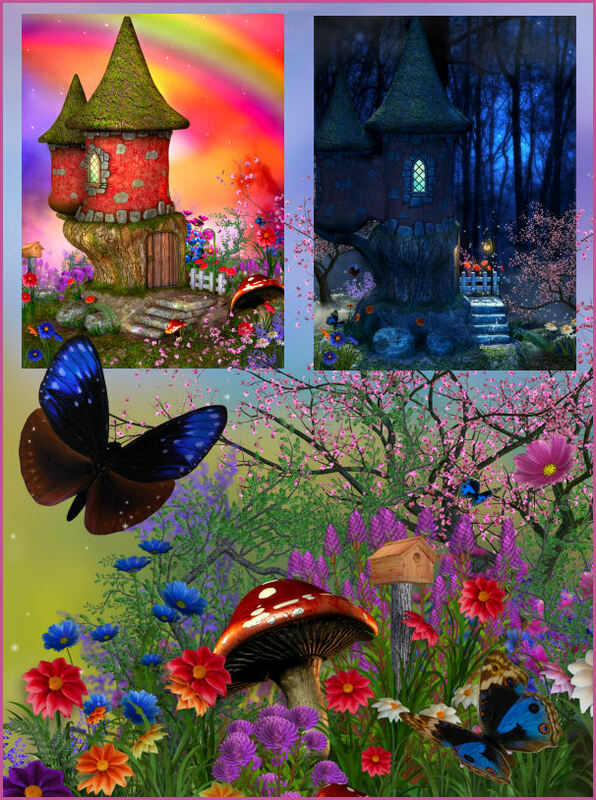 Others, including fairy castle scenes and floral clusters, are on a transparent background and await your final touch. This package also comes with a cherry tree, butterflies, and three seamless tiles. 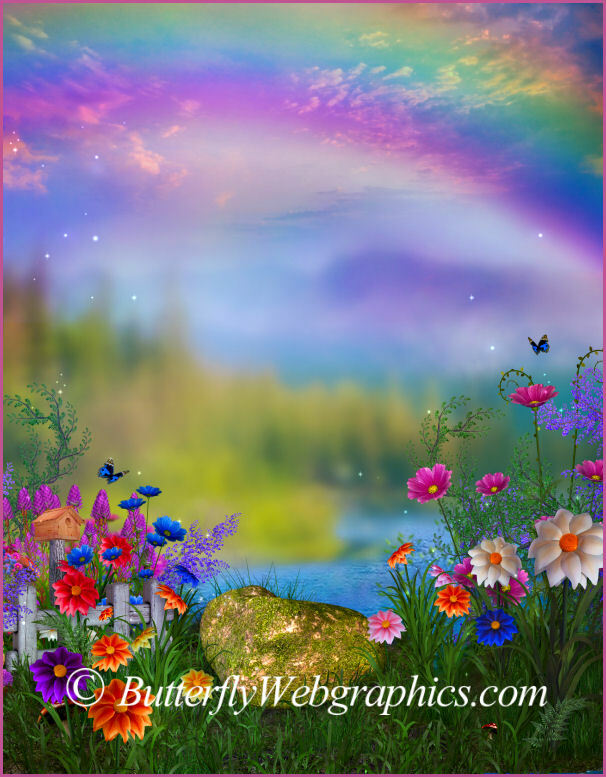 There are 23 royalty free, high-quality clip art PNG images included in this package. All of these graphics have transparent backgrounds (except for the background tiles) making it easy for you to use them as tubes or nozzles–or merely to drop into your design. The size of these images varies, but the backgrounds are approximately 2800 x 3600 pixels. All are 300 DPI, making them great for print projects. Members can use the tubes for personal and most commercial projects, including web design, template design, graphic design, t-shirt design, candy wrappers, scrapbooks, print transfers, DIY crafts, Zazzle projects, Cafe Express items, card making, embroidery designs, fabric blocks, address labels, business cards, newsletters, stationery, invitations, banners, crafts you print, paper projects, digital stamps, notelets, stickers, notecards, signature tags, and more. Please read my terms to learn more. This package is four zip files, which are about 48-65 MB each. Hurrah! Found out how to download using MS Edge. These designs are priceless. 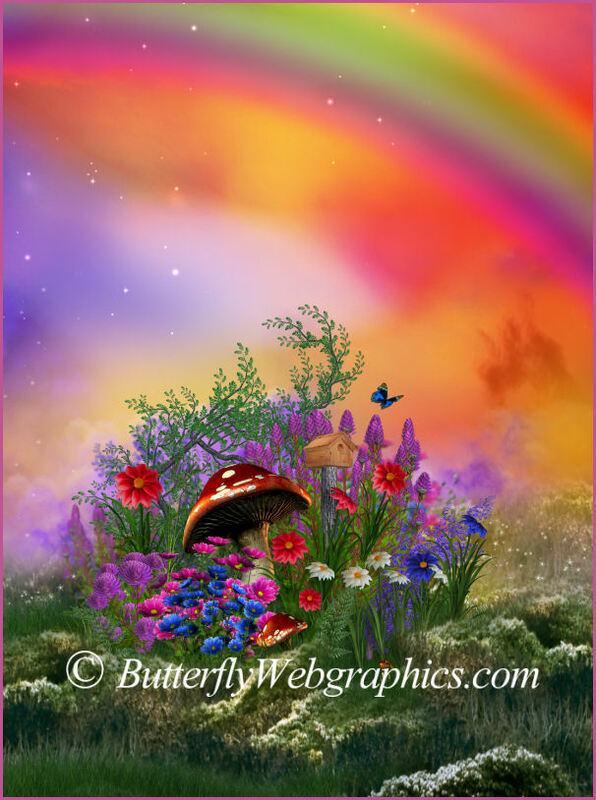 They will help me create a Fairyland storybook for my great-grandchildren. Thank you.